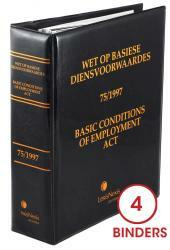 Basic Conditions of Employment Act 75 of 1997 with Regulations is a subscription based product including both the printed loose-leaf and LexisMobile publications. 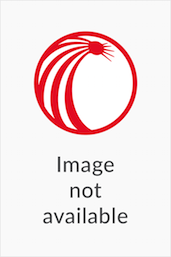 Updates for 12 months (print and mobile) are included in the price. 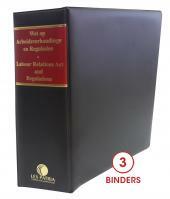 This fully bilingual publication consists of four binders which contain the full text of the Basic Conditions of Employment Act, 75 of 1997 and the Employment Equity Act, 55 of 1998, complete with all the Regulations, Notices, Codes of Practice and Sectoral Determinations.